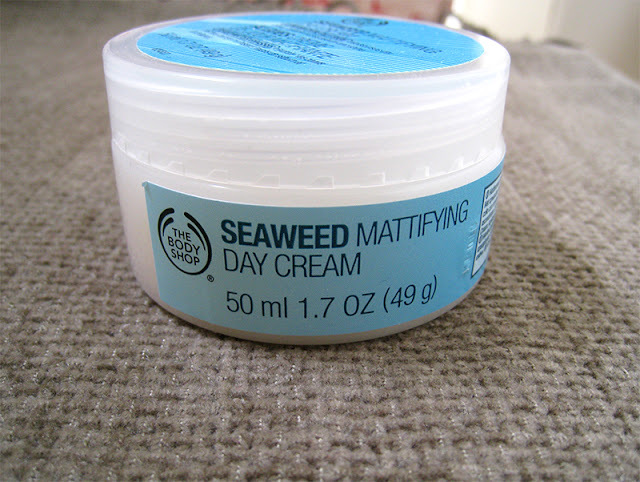 I think it was about time to review one of my HG face moisturizers, the Seaweed Mattifying Day cream from The Body Shop, it took me a while do it so I want to apollogize for the delay. It's funny because I took the pictures months ago, and now this jar is empty because I used it all, but for some reason I totally forgot to write this post. So let's start! As most of the Body Shop's moisturizers, it comes in a plastic jar, which is super lightweight and it's very travel friendly. In Greece it retails for 14 euros, I think the price is quite reasonable, it's only a few euros more expensive than a drugstore moisturizer. 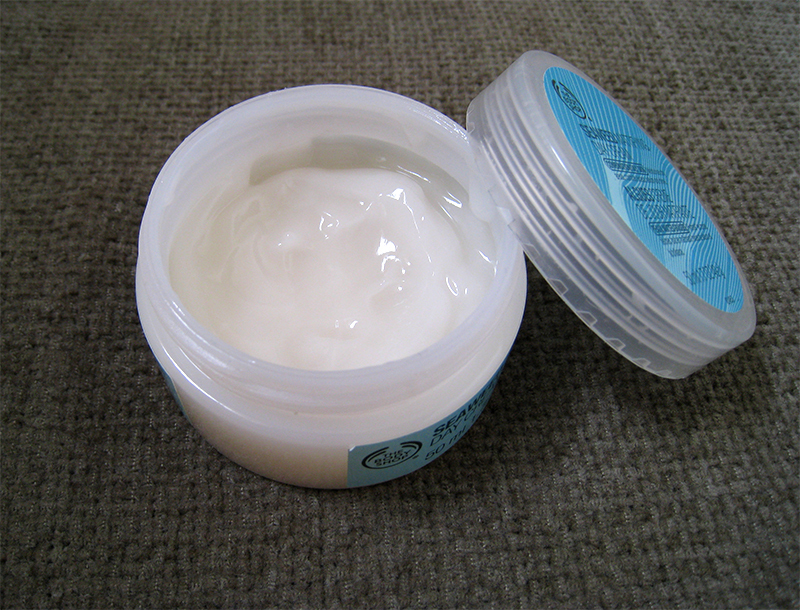 It's a gel moisturizer, which absorbs very quickly into the skin. It's perfect for oily skintypes, and it's also great under any type of foundation, liquid and powder, I've tried it with both and it works amazingly good. It never broke me out, and it's very rare for me to find a moisturizer that doesn't break me out, the fact that I've purchased this one twice so far it says a lot! 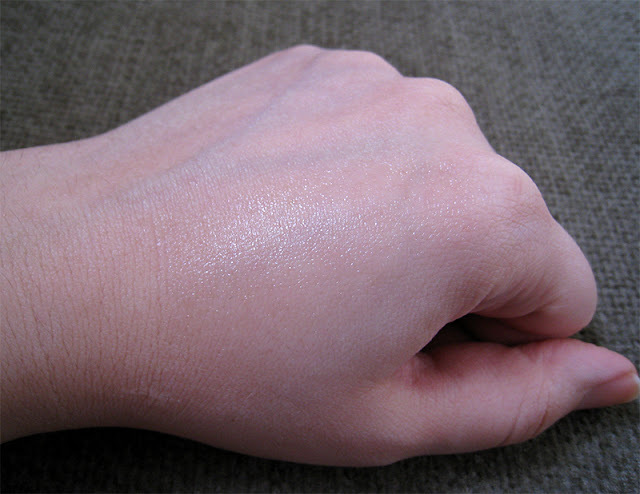 For a moisturizer that is targeted for oily skintypes I didn't expect that it would help with my dry areas around my cheekbones, but it does, not very well though, but it does help and I can tell that because when I'm wearing a long wearing foundation, it doesn't make my dry areas visible at all. But when my skin acts weird, I like to alternate between this one at daytime for under foundation and a more thick moisturizer for the nightime. Something that I have to mention is the smell, I understand why some people may feel nauseous, it must be the seaweed extract, personally it doesn't bother me, but when I first used it I found the smell to be very off putting. -Very lightweight and absorbs quickly into the skin. -Perfect for under foundation and powder. -It doesn't make my skin oily throught the day. -Very good for acne prone skins, never broke me out. -The scent may be a little too much for some people. I'd give this moisturizer a 10/10 rating but because the smell can be off putting for some people, I decided to go with a 9, but overall this moisturizer is amazing! If you have oily/acne prone skin you have to try it! 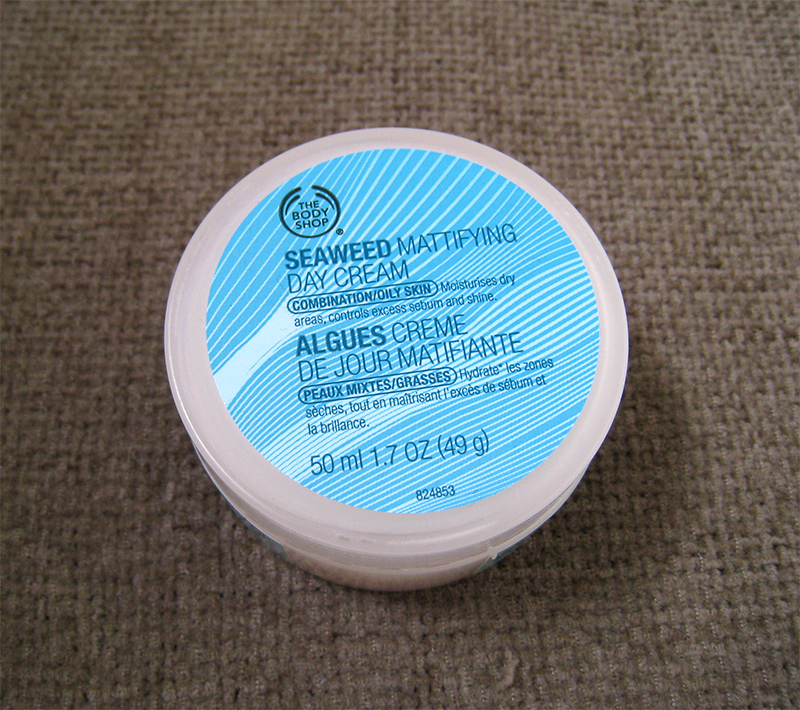 Have you try the Body Shop's Seaweed Mattifying Day cream, did you like it? μολις βρήκα το μπλόγκ σου!!! ειναι τέλειο, πολύ ιnspiration και πολύ καλές επιλογές προιόντων! τα θέλω όοοολα αυτά, φαίνονται υπέροχα! αν θές πέρνα μία βόλτα και απο το δικό μου και ελπίζω να τα λέμε! ξερεις αν υπαρχει δειγμα στα καταστηματα; ψηνομαι καιρο να την δοκιμασαω αλλα εχω απογοητευτει απο τα προιοντα προσωπου απο το body shop και δεν θελω να την ξαναπατησω. δερμα κανονικο προς λιπαρο το καλοκαρι κ προς ξηρο το χειμωνα. Δυστυχως δεν γνωριζω, αλλα ξερω οτι στα Body Shop αν ζητησεις μπορουν να σου δωσουν λιγο απο το τεστερ που εχουν σ'ένα μινι βαζακι που εχουν για να δινουν δειγματα για να δοκιμαζουν οι πελατες. Δεν χανεις τιποτα αν ζητησεις να σου δωσουν λιγο απο το τεστερ. Θα τη δοκιμάσω κάποια στιγμή, πιστεύω θα μ'αρέσει πολύ! Πολύ ωραίο review!